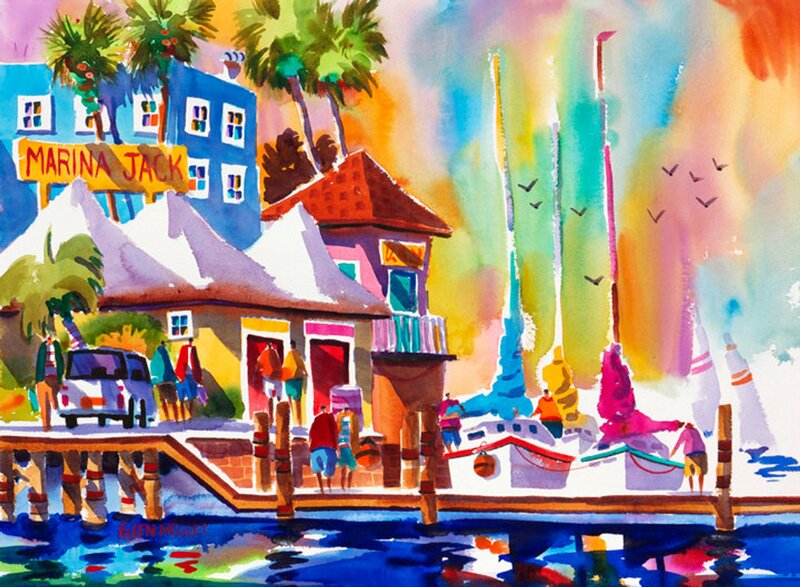 Marina Jack in Sarasota is a must stop for every tourist. Beautiful boats are lined up along the Marina and there's a lovely park that allows you to watch the Drift Fishing Boats coming and going. It's a great place to have a cup of coffee and get some great ideas for more paintings!